Visiting the St. Jacobs Farmers’ Market has been part of my Saturday routine for a long time. I love how fresh, in-season produce is so accessible in the KW region. 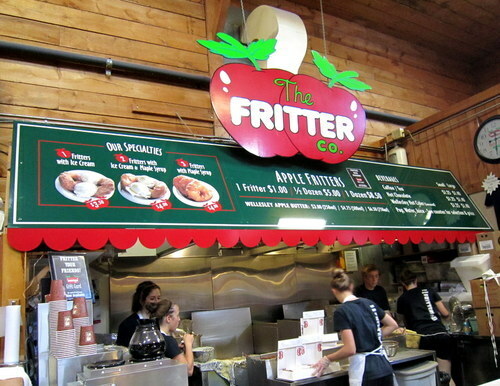 Undoubtedly, the Apple Fritter Co. is the most famous food vendor at the market. Be prepared to stand in line, good things are worth waiting for! No worries though, the service is so quick that usually the wait is less than 10 minutes. 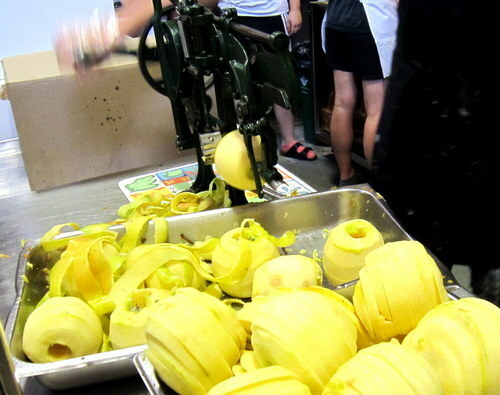 I think this is their new apple peeler! 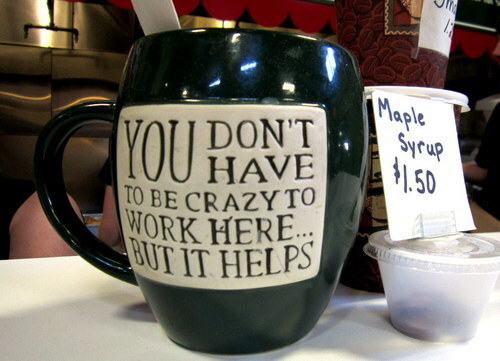 The batter is really sweet, so I don’t usually get maple syrup with my order (Maple is still awesome though). However, I highly recommend getting the ice cream deal ($3.50). 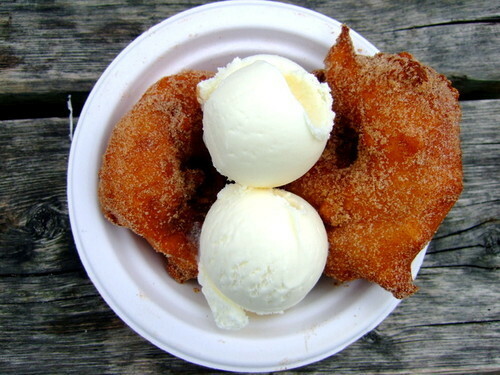 Pairing piping hot fritters with freezing cold Chapman’s vanilla seem to infinitely boost the level of satisfaction gained from the scrumptious fritters. 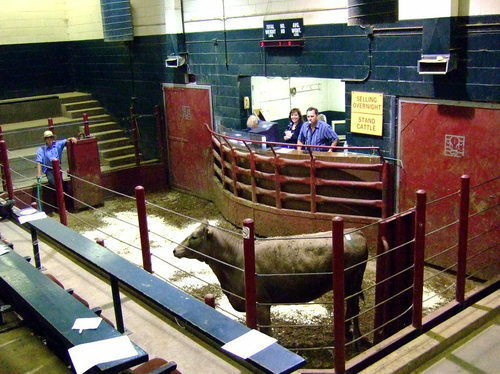 Also highly recommended – visiting the building beside the main indoor market for sale of livestock! A day at the market is always a nice and refreshing way to spend your Saturday. Not only will you be able to support local farmers and stock up on fresh produce, you will also be able to experience the amazing level of energy and passion local farmers and community have for real food. Ditch the grocery store and processed food items with gazillion ingredients. Sun or snow, come support our local farmers! P.S. I realized there is really no graceful way to eat a riped peach. It is so sweet and juicy that everything squirts everywhere!